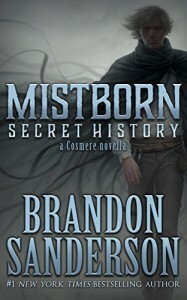 SPOILER WARNING: Just reading this review will spoil major events of the original Mistborn Trilogy. If you haven’t read those amazing books, stop reading this review, buy them, and discover the awe-inspiring world of Scadriel that Brandon has created. This review will totally spoil and ruin those books. Okay, here we go. This novella came out of nowhere for me. I hadn’t heard it was coming out (of course, I am not the best at staying current on books). 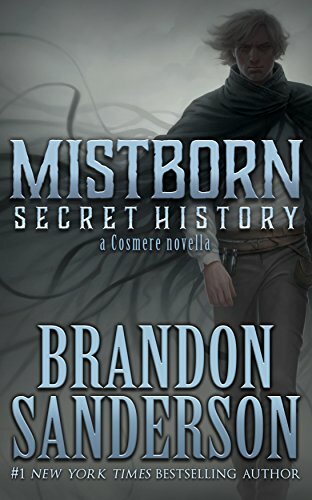 I knew Bands of Mourning was coming out and I was shocked when I got to the end there was a note from Brandon revealing the existence of the untold story of the original Mistborn series. That’s not surprisng. If you’ve read the trillogy there were hints of stuff going on behind the metaphysical scenes. This story lays it out. What happened after Kelsier died? Well, first off he punched god. And by god, I mean Preservation, one of the Shards of Adolnasium that inabits Scadriel. In dying, Kelsier discovers an entirely new world. He learns just how small Scadriel is in the process, and he works behind the scenes to ensure that our heroes victory at the end of the series against Ruin can happen. There were hints, but to see it laid out was exciting and emotional. To get to see Kelsier struggle to help his friends from beyond the grave was poignant. He is the Survivor, and he never gave up. This Novella shed light on a lot of the strange events that hapepned and even gave new context to things I thought I had understood (like the first time Preservation tried to stab Elend or why Vin avoided talking to Hoid). This book also did more to shed light on the greater Cosmere than any previous published story. The curtain has been pulled back, and we are getting glimpses of the larger universe that has better things to do then worry about one little planet. I drank this book up. It was wonderful to see all the characters one last time, to have one more chance to say goodbye to them. Fans of the Cosmere, this novella is a must read. Bands of Mourning is available from Amazon. It is the day of Wax and Steris’s wedding, and he is not ready to remarry. The wounds of being forced to kill his first wife for the second time still haunts Wax. His marriage to Sterris is one of political and economic necessity. But Wax has promised to marry her, and he will grit his teeth and get through the ceremony. Of course, nothing ever goes right around Wax. When a kandra shows up needing Wax’s help and the nearby water tower collapses and floods the church in the middle of the ceremony, another adventur has begun. In New Seran, a kandra has almost been killed after coming across the location of the Lord Rulers bracers, the Bands of Mourning. Reputed to be the source of the Lord Rulers inhuman powers, they are coveted by all, including Wax’s devious uncle and the nefarious group he works for. Not wanting to help Harmony and the kandra after their betrayal, but unable to resist the urge to hunt his uncle down and recover his kidnap sister, Wax joins the group. Accompanied by his disreputable friend Wayne, the intrepid constable Marsai, his fiancee Steris, and the kandra MeLaan, Wax heads off on an adventure that will change everything for the people of Elendel. 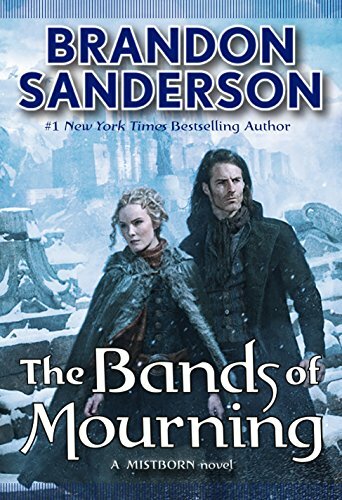 Bands of Mourning was a rollercoaster ride. Brandon weaves almost every pulp story in existence into this tale from Westerns (including a classic train robbery), detective story, and more (I don’t want to spoil this one). Wax and his group have never faced such danger as they try to dicover what the mysterious Set, the shadowy organization bent seizing power in Elendel. The characters have grown and changed, but Steris really shines. In Alloy of Law I did not like her. I wanted Wax to end up with Marsai. But the last two books, especially this one, shows just how great a match she is for Wax. But there’s more than just Wax’s love life in this book. So much happens. Just when you thought you understood how Allomancy, Feruchemy, and Hemalurgy works, Brandon throws curve balls. MeLaan and Wayne continue to entertain, and it’s great seeing how far Marsai has come from the first book where she blushed at everything (though she does have her occasional blush). The stakes only grow higher in this book, setting the stage for the final book in the Mistborn Era 2 series, The Last Metal. This book packed some emotional wallops. There were times I was at the edge of my seat, my stomach twisting in disbelief at what was happening. If you’re a fan of Brandon Sanderson, Mistborn, and the Cosmere, you will eat this book up. And if you’ve never read Brandon Sanderson, you are missing out. Pick up the first Mistborn book (this is not the place to start) and fall in love with one of the modern masters of Fantasy.